Kim Kardashian’s new flawless 20-carat emerald-cut diamond ring adds megawatt symmetry to the reality star’s jewelry wardrobe. 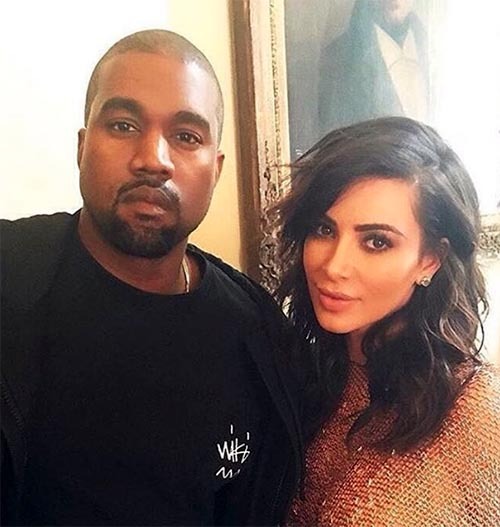 The $8 million sparkler, which was gifted to her by hubby Kanye West, nicely complements the 15-carat cushion-cut diamond engagement ring he gave her back in 2013. That ring was reportedly worth $1.3 million. 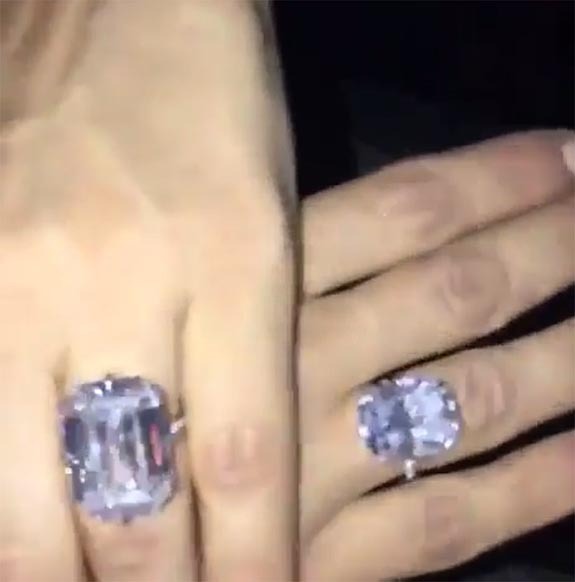 Apparently, Kardashian had been wearing the new ring for more than three weeks. The rapper gave it to her just before the MTV Video Music Awards in New York last month, but the paparazzi and fashion press didn’t catch on until she wore BOTH rings at a Harper’s Bazaar party on September 9. The ring styles are nearly identical, except for the size of the center stone. The power couple was famously on the magazine’s September 2016 cover. 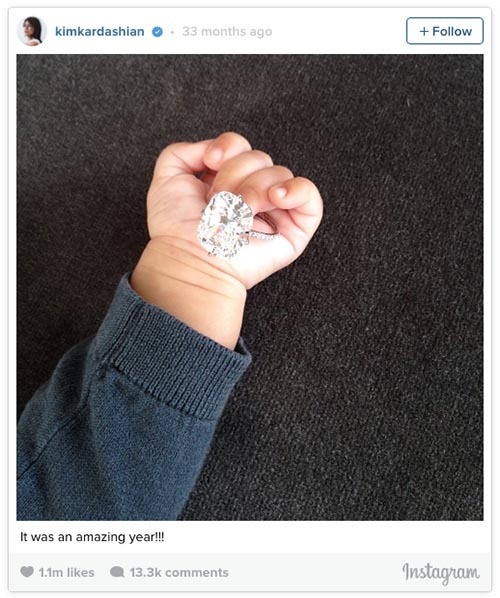 Fashion bloggers wondered if the ring was a belated push present. Kardashian gave birth to the couple’s second child, Saint West, back in December of 2015. Kardashian’s newest jewelry will take its place in the pantheon of the most famous diamond rings of all time. Credits: Instagram/TeamKimye, Instagram/LorraineSchwartz; Harper’s Bazaar; Instagram/KimKardashian.